Online Application Details for Air India Recruitment of 15 Safety & Emergency Procedures Instructor is given below. 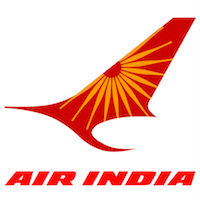 Application form and duly attested documents are to be sent to Mr. BandiBadrinarayan, O/O Sr. Manager-Personnel Central Training Establishment, Air India Limited, Ferozeguda, Hyderabad – 11, Telangana. In envelope super scribed with 'Application for the Post of Post Name'.